Most of us reach for some sort of snack on a daily basis. Whether it is to maintain energy levels between meals, or to munch on while relaxing in front of a movie, snacks are a regular feature in most people’s diets. However, many people choose snacks that are high in calories and low in nutrients, like chips, cookies, and candy. In fact, recent research shows that there has been a significant increase in high-calorie snacking amongst children. Candy, chips, and other snacks now make up 27% of children’s daily intake of food. With such a significant portion of our diet coming from snacks, it is more important than ever to make sure the snacks we choose are healthy and nutrient-dense. While it is fine to indulge in some candy or chocolate occasionally, most of our snacks should be healthy. But that does not mean they can’t also be tasty. 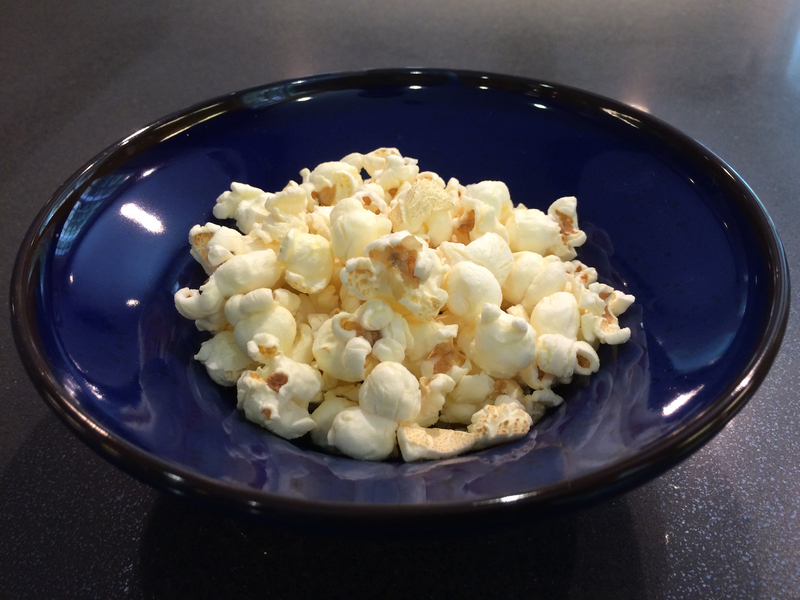 Here are three simple and delicious flavored popcorn recipes, created by my chef-friend (and fellow nutrition student) Jason. Popcorn is an excellent snack because it is lower in fat than most traditional snack foods like chips, cookies, and candies. One cup of air-popped popcorn contains only 30 calories. Popcorn is high in fiber, B vitamins (folate, niacin, riboflavin), vitamin A and C, and the minerals iron, potassium, and zinc. But all popcorn is not created equal. It is important to air pop your popcorn to avoid adding extra calories and fat. Microwave popcorn can triple the calories and fat content. The recipes below use extra virgin olive oil instead of butter, which provides heart healthy unsaturated fats to the snack. One tablespoon of extra virgin olive oil contains 120 calories and less than 2g of saturated fat, whereas butter contains more than 7g of saturated fat per serving. And the spices used are low in calories and provide many essential vitamins and minerals. Spread out 4 cups of air-popped popcorn on a baking tray. Lightly spray with Olive Oil Spray – high in monounsaturated heart healthy fats. Sprinkle on around 2 teaspoons of Shichimi Togarashi – a spice blend containing dried chilis, citrus peel, sesame seeds, Sichuan pepper, and ginger (see this post for other pantry and spice cupboard essentials). These are all good antioxidants. 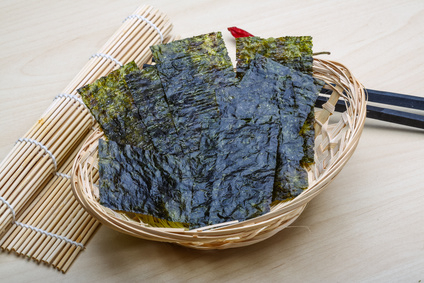 Roughly chop 4-5 sheets of nori and add to the popcorn – a dried seaweed that is high in vitamin A and Vitamin C, and contains iodine, which is essential for thyroid health. Sprinkle on around 1 tablespoon of roasted sesame seeds – high in fiber and rich in the minerals copper, magnesium, iron, and zinc. Add a small amount of sea salt to taste – use sparingly. 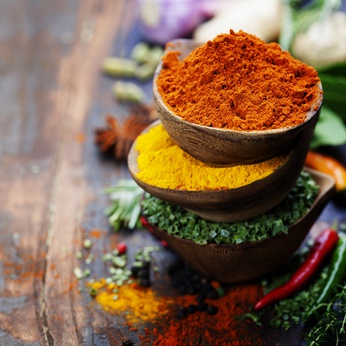 Add 2 teaspoons of curry powder – a spice blend containing turmeric, dried chilis, coriander, black pepper, cumin, fenugreek, curry leaves, mustard seeds, cinnamon, cardamom, cloves, nutmeg, and bay leaves. These spices aid in digestion and are known to reduce inflammation in the body. Sprinkle on a pinch of cayenne powder – this stimulates circulation, and improves digestion by stimulating stomach acids, which helps boost metabolism. Add around one teaspoon of turmeric powder – this is part of the ginger family. Turmeric is linked to pain reduction in people suffering from osteoarthritis. 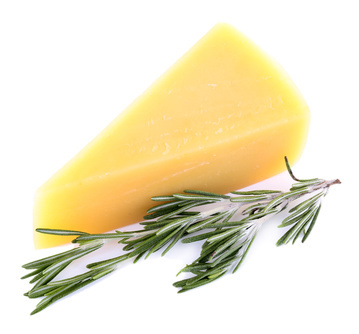 Fresh Rosemary – High in B vitamins, vitamin A, Vitamin C, and iron. High in antioxidants which aid in circulation. Add to taste, roughly 2 tablespoons. Parmesan Cheese – A low fat cheese that adds an earthy saltiness to the popcorn. Add to taste, roughly 3 tablespoons. Lemon Zest – Adds brightness and acidity to the snack. High in vitamin C and Vitamin A. Add to taste, roughly 2 tablespoons. Cracked Black Pepper – Aids in digestion. Add to taste, 1 or 2 pinches. Piernas, C., & Popkin, B. (2010). Trends in snacking among U.S. children. Health Affairs, 29(3), 398-404.